Kerensa Jennings is that rare breed of author: a literary thriller writer. 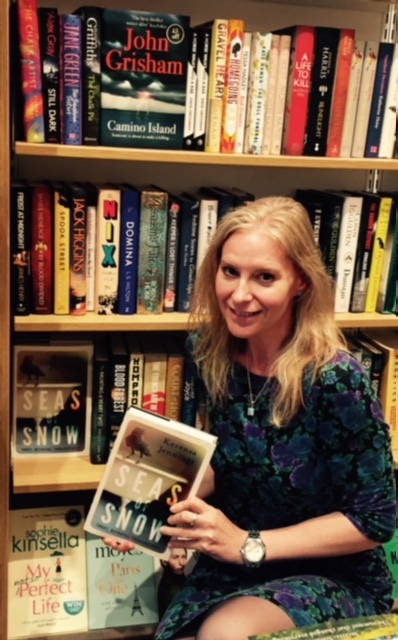 Her first novel, SEAS OF SNOW, published by Unbound last year, became an instant bestseller and continues to garner great attention, with 130+ reviews on Amazon internationally, most of them 5 stars. Several big book bloggers have also rated it one of their top books of the year! I'm reading it now and I think it's brilliant, combining envious - even poetic - writing talent with a keen sense of plotting, pace and character. You have a busy, successful career outside of SEAS OF SNOW, running The Duke of York Inspiring Digital Enterprise Award from Buckingham Palace. You've been voted one of the Top 50 Most Influential Women in UK Tech, worked as a journalist, producer, executive coach and a professor. How (on earth!) do you organize your day to find time to write? Aha! The million dollar question… Well, in truth, I write at least a little bit each and every day. Always have, ever since I could write. Short poems, brief aperçus, narrative pieces and flights of fancy. Nearly always short form. I am not the sort of writer who sets themselves specific targets on word count or chapters. I write from the heart and can only really work on something as intensive and dedicated as a novel when I am in the right frame of mind. Combining novel writing with having a break from work is something I like very much. It suits me. In truth, I have always had day jobs which are far too all-consuming and time-demanding to allow me the luxury of long-form writing in a normal working week. That’s why for someone like me – who has been writing all their life - it took me such a long time to get my first novel out! Of course I have a secret dream of being a full-time writer but so far no benefactor has swept into my life to magic away the need for a salary…. 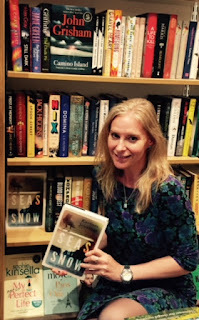 You didn’t have an agent for SEAS OF SNOW, but you do have a great publisher behind you. Tell us a bit about how it happened. The story of getting my own book deal was a confluence of serendipity. I was on a panel speaking at a digital conference alongside one of the founders of Unbound, the ground-breaking publishers which is known as a bit of a digital disruptor. They select books for publication and give authors a platform to try to inspire people about the book they want to write. If enough readers back the idea, the book gets born. Simple as that. I told him, somewhat shyly, that I had written a novel. He told me how to submit to Unbound… and so I did. Much to my amazement, it ended up being selected for publication! Fast forward and we ran a crowdsourcing campaign over the Summer of 2015, and I was told at that point in Unbound’s history (they had been publishing books for five years by then), mine was the second fastest fiction title to reach its target! The way it works is Unbound set a budget target which covers cost of the publication and initial distribution of the book. Once the target is met, the whole project is de-risked for everyone. And you get your lovely shiny book on bookshelves all around the world! Oh gosh, I think the fact it has inspired such an incredible response. At the time of writing, there are 122 reviews on UK Amazon, of which 90% (109) are five stars. And there are so far 10 reviews on US Amazon, with 100% being five stars! It’s more than I had begun to dare dream. And being able to hold a thing that was once in my head – for real, in my hand. It was the proudest moment of my life, getting published. A fairy tale come true. SEAS OF SNOW is a darkly emotional novel about a young girl who suffers terrible abuse at the hands of a predator. Authors often have trouble recovering from days of working on difficult passages. Did you find that? I’m afraid you are right, it is a very darkly emotional novel. There are passages which not only broke me to write them, but I find if I re-read them, they make me cry. I was on the tube (the underground train) on the way to work recently preparing for an interview about the book and read one passage in particular… moments later I had tears streaming down my cheeks. I had to hastily damp them away! Because the story was inspired by a real life crime, and my knowledge of the evidence of that crime, the actual writing took a lot out of me. Of course I transposed my story to another time and place; and SEAS OF SNOW was just ‘inspired by’ the case, not ‘based on’. But anyone familiar with the case will recognise the predatory nature of the antagonist. I wrote SEAS OF SNOW partly as a means of catharsis… I always tend to write to process my own responses to things. But in this story, I wanted so much that anyone who had ever been a victim to feel they had ‘permission’ to feel it was not their fault. That might be a victim of the abuse itself, or indeed a victim in the sense of feeling helpless but aware of something horrific unfolding. Little Gracie agonises over whether somehow she is being punished for something; and her best friend Billy tortures himself over what he could and should be doing. Gracie’s mother colludes… not through choice but through pressures of social mores and sheer terror of what worse might be to come. I have had a lot of correspondence from people who have suffered abuse, saying the story really resonated with them, and thanking me for writing it. That is the most humbling and amazing response I could possibly hope for. If it has helped even one person a little bit… I feel blessed to have had the opportunity to do that. You’re a journalist and a poet and both skills comes across so well in SEAS OF SNOW. How did the two different skills influence your writing of the novel? Thank you so much! Writing is my lifeblood… it flows in me and through me. I’ve been writing poems and short stories ever since I could hold a pencil. It’s something I just feel compelled to do – it’s how I process my feelings and make sense of the world. Analogies and word formations and constellations of phrases simply poke themselves into being and I find myself transmuting them from somewhere inside to somewhere tangible, on paper or on a screen. So the poetry bit is just something that happens organically and needs to spill out. 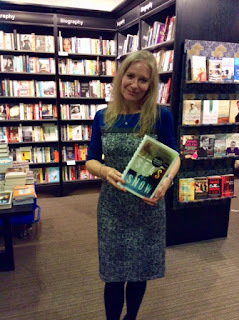 When I was writing SEAS OF SNOW, it felt entirely natural to simply write as ‘me’ – and that meant letting myself write freely in a way that many have since described as ‘literary’ or ‘poetic’. I did not do this self-consciously, although I admit I love language – the way it sounds, the way you can put it together, the way you can create soundscapes through your writing. The journalism bit comes from my training and long career in the media. I started working professionally in national television back in the early nineties, having previously done local journalism both on the radio and on a local newspaper while at school and then University. I learned my craft from some of the best writers on TV. When you write for television, you have to be mindful that someone is going to be reading your words out loud. So the trick is to keep your sentences brief and concise, avoid subordinate clauses, and pitch the vocabulary at an accessible - but not patronising - level. A rule I always tried to follow when writing for some of the most famous presenters in British TV is the ‘nine-year-old’ rule. Imagine whoever is presenting will be speaking to a very smart nine-year-old in the audience. Super clever, so able to follow relatively complex concepts without being dumbed down. But would struggle if you packed your script with jargon or anachronistic vocabulary – anything off-putting or in accessible. The job of journalism is to seek the truth, to hold people accountable for their actions, to expose what is wrong and work on the principle of transparency. 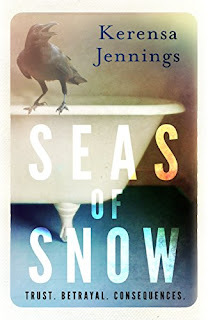 SEAS OF SNOW is inspired by a real-life crime investigation I worked on. I led the BBC News coverage of a famous case where a school caretaker murdered two beautiful little ten–year-old girls from his school. I worked closely with the police on that case and got to see all the evidence – including some very traumatising video footage. I then had to sit behind the perpetrator day after day in court during the trial. I found it emotionally eviscerating. Writing SEAS of SNOW in large part acted as a process of catharsis for me. I wanted to find out more about the mind and motives of a psychopath and explore whether evil is born or made. Bringing a journalistic eye for detail and a literary eye for language is a strange combination I suppose, but something that is intrinsic to my writerly life. Kerensa has been writing since "she could hold a pencil!" What are your best promotional tips? I still consider myself to be a complete amateur at this book promotion stuff. The things that have worked best for me is being authentic in all my interactions on social media. Twitter is the vehicle I like the best. For book people – be they readers, authors, bloggers, other reviewers, agents, publishers and so on… it’s a friendly, empowering space where generally people are delighted by each other’s success and love helping shine a light on each other. I feel if everything I do is done with integrity, then that is the best I can do. My Twitter handle is @zinca – I try to do a mixture of sharing things I think are interesting or useful that I believe others will enjoy or benefit from. I also do a bit of sharing things about my own bookish world; and I like discovering lovely inspiring quotes which I hope will lift people. I quite like the creativity of finding meaningful quotes then searching out images that complement them. I also like to try to be a good friend, supporter and advocate of fellow authors and the amazing circle of book bloggers that are out there. I also like Instagram – it’s simple and easy. My handle there is @seasofsnow – and again I mix it up a bit. 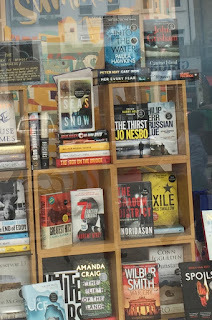 Sometimes stuff to do with my book – like the time recently SEAS OF SNOW was in the BBC Children in Need Authors Auction to raise money for a wonderful cause. I could hardly believe it but there was a bit of a bidding war for my book (!) 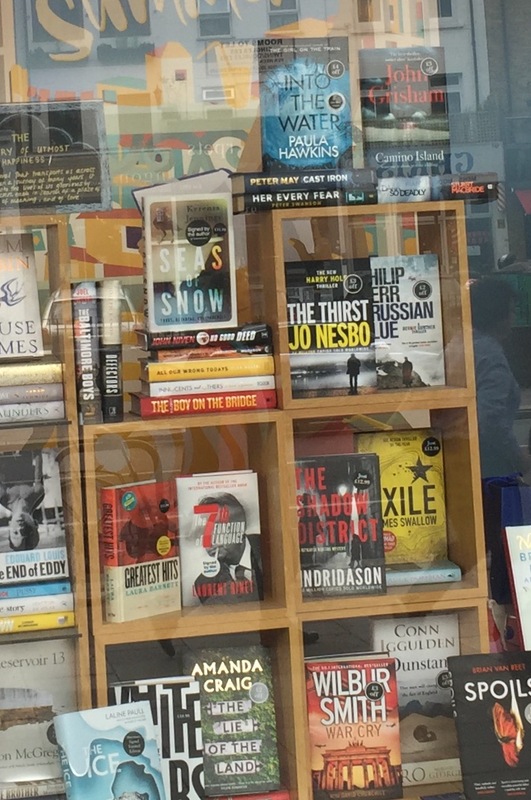 and it raised the fifth highest bid in more than 200 signed books… I was stunned it raised more than books by Ian Rankin and Mark Haddon among others! Other times I post a beautiful photograph of something I have seen or been to. Recently I posted a photograph of the Tate Modern in London on the day I went to the Modigliani exhibition; I also posted some highlight photos from a recent trip to Mykonos in Greece; and one of an album launch I was lucky enough to attend by the singer songwriter Simon Higdon – I hoped people who follow me might get the chance to catch his music on Spotify because I love it! I so far have not been able to get to grips with Facebook. I find it rather corporate and unwieldy. I don’t like having to manage both a personal profile and a ‘book page’ profile… I find their notification system pretty idiosyncratic and I am not a fan of the interface. So I am afraid I would be a bit rubbish helping anyone to understand or use Facebook for promotional purposes. I did pay a few times to run ads on Facebook, but I did not discern that the ads made any difference whatsoever so felt it a bit of a waste of money. So I stopped. By contrast, I know for a fact loads of people have discovered me and bought my book because of Twitter. Lastly, I’ve taken part in a number of book panel discussions in book shops and at book clubs. You are only meeting a small group of people at a time at these events, but they tend to be highly engaged and really keen to read the book. What’s the biggest change in your life since becoming a bestselling novelist? In practical terms, nothing very much. I still have the same job, live in the same house, have the same friends and more or less the same life. I shan’t be off to my garret writing all day any time soon, much as I wish I could! The aspect of my life I find hardest since the book came out is a direct consequence of the latter point… finding time and energy to read as much as I used to. I think it is a requirement of a writer to read, read, read…. so I have found it a struggle to balance how much time to give promoting my work to actually giving myself the brain nourishment to make good progress myself in my own literary career. The nicest thing is being asked for my autograph and being asked to be on panels and give talks at book shops or at book clubs. I love doing them. What’s the best piece of advice you’d give to new authors? 1. First…. read, read, read… then read some more, then some more, then some more…. I believe by studying and critiquing literature, working out what makes stories compelling, and what makes the writing good; analysing structure and plot and character and denouement… all these things are what gave me the tools I needed to write a novel myself. I had also been fed up of reading so many disappointing endings that just tailed away… which gave me my impetus to try to write an ending that would make readers feel glad they had invested in getting that far. So reading and analysing what you think doesn’t work is every bit as useful, I think, as reading great works. 3. Write for you and be true to yourself. 4. If you are writing for fame, glory or riches… it might be worth finding another route for those things as they happen to very few writers. I know you've been on deadline for your second novel. Tell us a bit about the story and when it's expected to be released. My second novel is also inspired by a real world crime case I worked on during my journalism career. The novel is called EDGE OF RAIN and it asks how far can you push a person before they break… The trial I worked on was the Sara Thornton case – she had killed her husband, and was accused of murder. However, in the end, she was found guilty of manslaughter (not murder) because the evidence proved she had suffered years and years of abuse – in legal terms called ‘provocation’. This meant although she murdered him in cold blood, it was emotionally an event provoked in the moment because of all that had gone before. Fascinating stuff…. And in terms of when… watch this space! Thank you so much, Kerensa! We wish you much luck with the new book and your many endeavors! By the way, the paperback for SEAS OF SNOW will be available April 5, 2018 – and the hard cover and e-book are in stock now! Stay tuned for more interviews, promo tips and writing advice from great authors! Follow the blog by email or join me on Twitter @SLMcInnis!